AXA ART, the international art insurance specialist, announced it will host an installation entitled “Art is Fragile” during the Art Basel show in Hong Kong from March 15-17, 2015. The presentation will feature damaged and destroyed works of art, pulled from the specialty insurer’s claims portfolio. As the Official Art Insurance Partner of Art Basel, AXA ART plays an important role in offering insights and generating discussion around the importance of art conservation. The lounge’s “Art is Fragile” theme serves to highlight various scenarios which can negatively impact the condition of art objects and offers useful information to aid collectors in preserving the condition and value of their prized works. AXA ART is also pleased to announce a special collaboration with Lalique, a renowned French crystal and lifestyle luxury brand for the first time at the Art Basel show in Hong Kong. Alongside a crystal art piece entitled The Winged Victory of Samothrace produced in collaboration with the Yves Klein Foundation and Lalique Art, a few Art Deco inspired pieces by Lalique Maison will be on display. For the first time at the show AXA ART will provide complimentary access to art conservators who will be available to answer collectors’ inquiries about conservation and discuss options for salvaging damaged artworks. Specific queries can be addressed by the conservators through a one-on-one discussion at AXA ART’s lounge during appointed hours. Tips on protecting your collection will also be aired on #AxaArtCares during the Art Basel show in Hong Kong. Storage and art handling best practices for works on paper, photography, canvas, wood, glass and ceramics and much more. 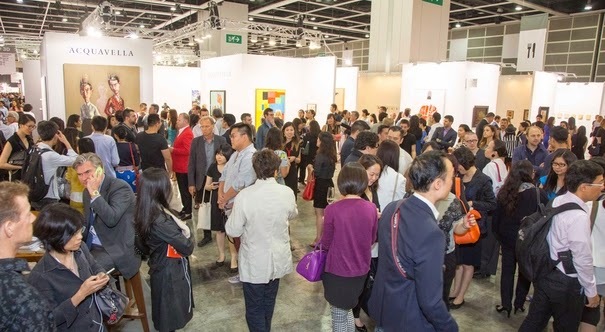 In addition to the show & tell hours with art conservators, AXA ART VIP guided tours will be conducted in Mandarin, Cantonese and English by international AXA ART experts during the show. AXA ART is also Art Basel’s official tour provider in Miami Beach, Basel and Hong Kong. These expert-led tours provide another level of insight and expertise enhancing the VIP experience of the show.